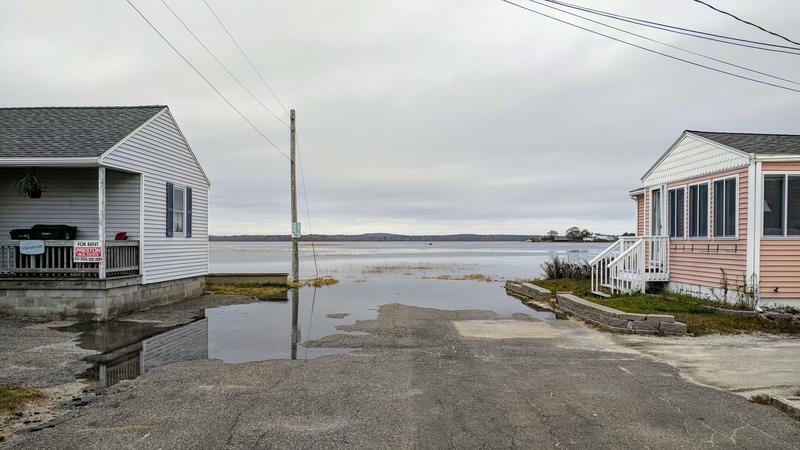 In Derry, Fire Chief Chief Mike Gagnon said seven people were rescued by boat Tuesday after water rose 5 to 6 feet outside several small businesses in an industrial area. He said eight others were assisted to higher ground, and about 15 cars were flooded. Monday evening a torrent of water surprised drivers heading home on Route 4 in Epsom. Officials say the culprit was a failed beaver dam. 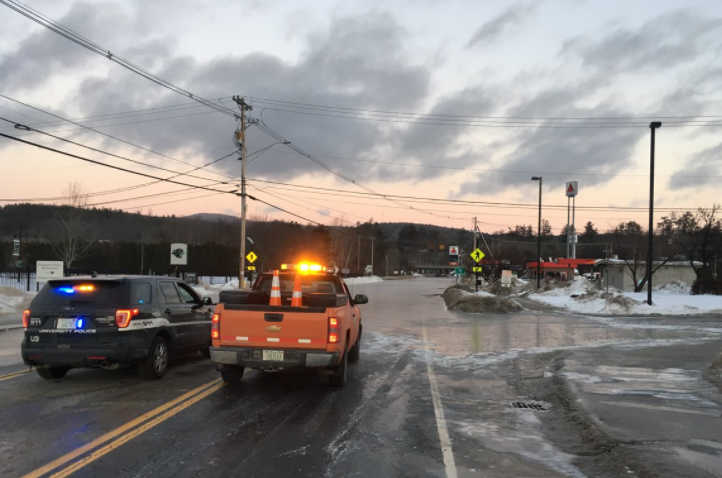 Flooding on New Hampshire roads because of beaver dams usually occurs when the critters' do their jobs so well that water backs up down stream. 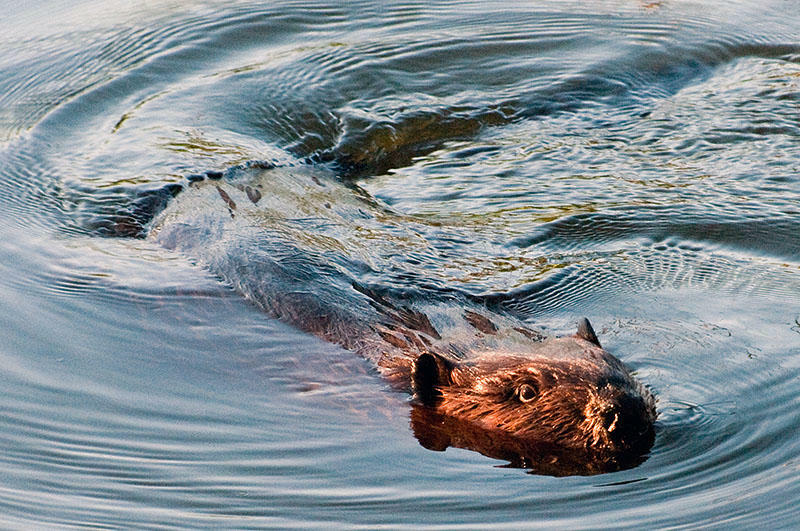 It's more unusual to have a ruptured beaver dam lead to flooding, says New Hampshire Department of Transportation spokesman Bill Boynton. 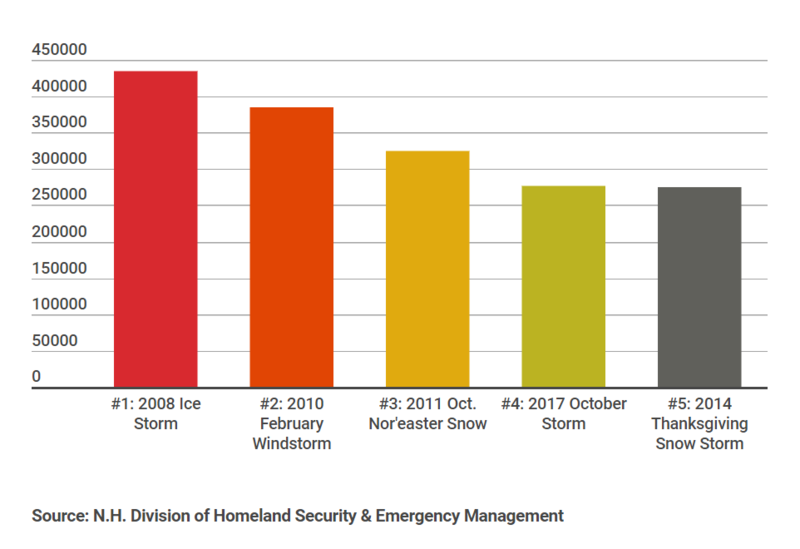 The freeze-thaw weather cycle of recent weeks is fueling ice jams in rivers across New Hampshire – including in New Boston, where a huge, persistent blockage could cause flooding this spring. The jam on the Piscataquog River is more than 3,000 feet long – the length of 10 football fields. New Boston Fire Chief Dan MacDonald says it's made of foot-thick icebergs that have melted and cracked, then frozen back up into a single solid glacier. 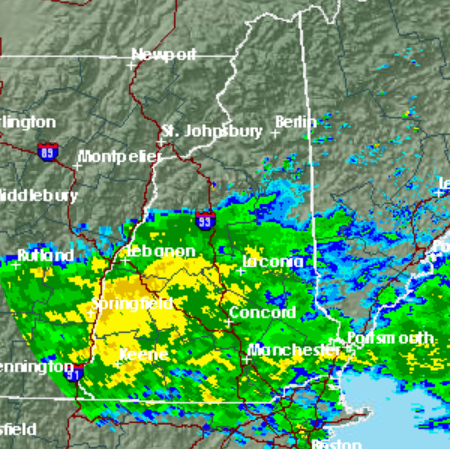 Heavy rain and ice jams that contributed to some headaches in northern New England are in the past, and weather officials are now keeping an eye on a snowstorm. One neighborhood in Littleton, N.H, dealt with rising water on Sunday. 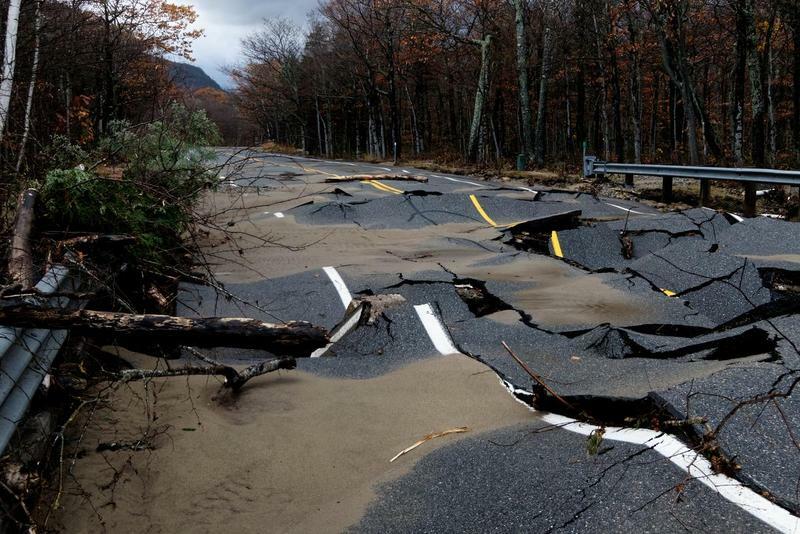 Homes were evacuated in northern Vermont. By Monday, all rivers had dropped below flood stage. Bob Marine from the National Weather Service said river levels were still trending downward. 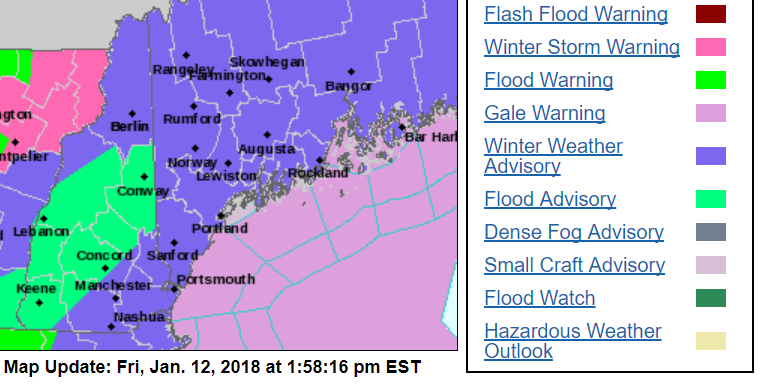 A flood watch is in effect for a large part of New Hampshire on Friday and Saturday, as the forecast calls for possible heavy rain at times, with precipitation turning to sleet and a wintry mix. Residents on the Seacoast are digging out from Thursday’s powerful nor’easter. Along with wind and snow, many low-lying homes in Hampton were hit with flood waters. But people are taking the storm mostly in stride. FEMA Inspects Storm Damage in Bartlett and Across N.H.
Officials from the state and Federal Emergency Management Agency were touring the state today checking the extent of damage from last week’s storm. NHPR’s Chris Jensen was with one of those teams in Bartlett. 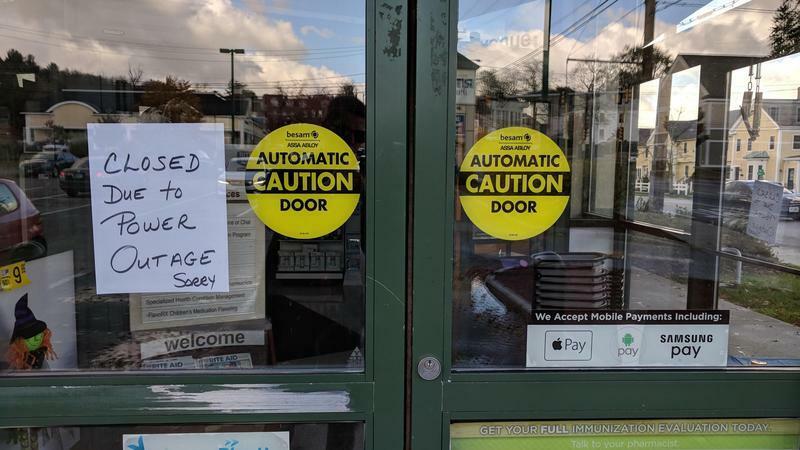 In addition to the high winds and heavy rain of last week's storm, several other factors contributed to the fourth largest power outage in state history -- with a price tag in the millions, and counting. That's according to Perry Plummer, director of the state Division of Homeland Security and Emergency Management. Damage estimates from last week’s severe storm continue to rise and appear likely to qualify for a presidential major disaster declaration. 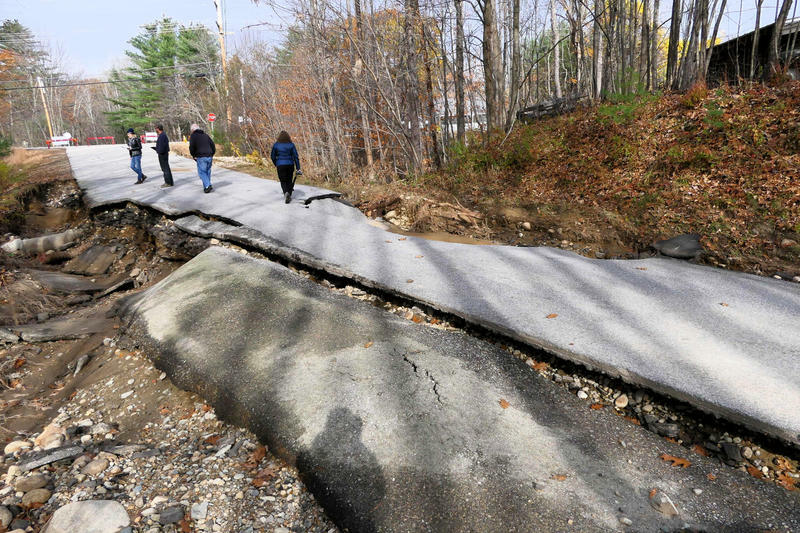 Perry Plummer, director of the New Hampshire Division of Homeland Security and Emergency Management, said Monday on The Exchange that the state’s damage tally is currently at $13.5 million.